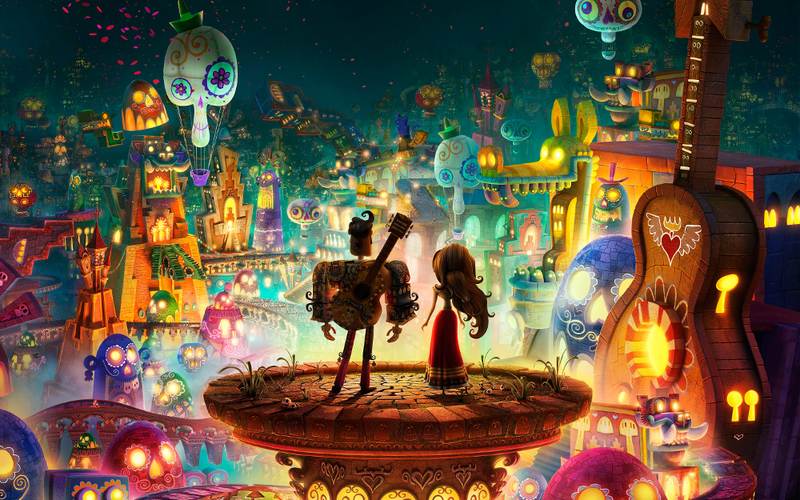 The Book of Life is a story about love, deception, loyalty, and learning how to follow your heart. It takes place in the Mexican town of San Angel and it begins with the Day of the Dead festival. 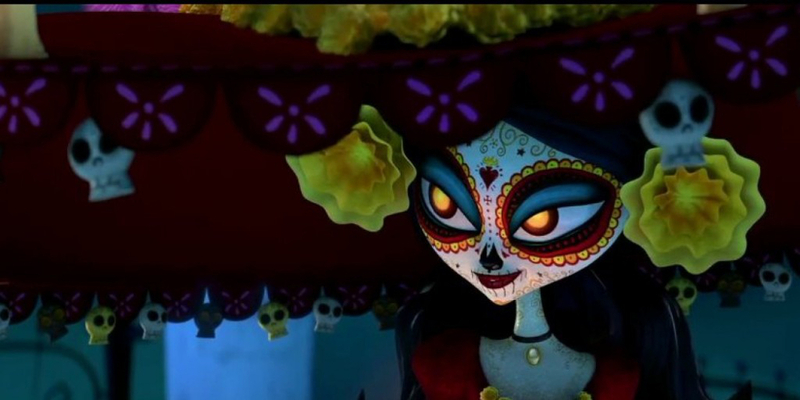 The spirits La Muerte (who rules the Land of the Remembered) and Xibalba (who rules the Land of the Forgotten) spy two boys fighting for the affection of one girl. The boys, Manolo and Joaquin, appear to be complete opposites when it comes to attitude and values. The only thing they have in common is their love for Maria. 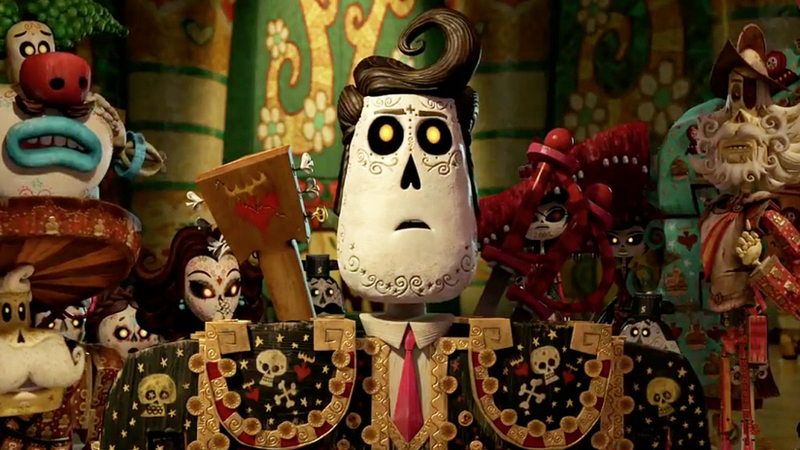 La Muerte and Xibalba place a bet on which boy will win Maria’s affection. And the story begins. Visually, I was absolutely blown away by this movie. The artwork was astounding and the colors were incredibly bright and beautiful. 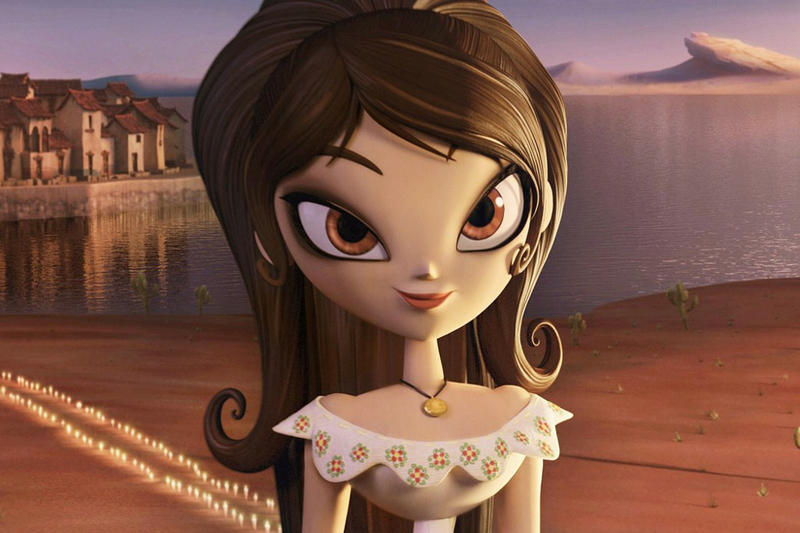 Jorge Gutierrez (the co-writer and director) said “My biggest heartbreak is that I see all this glorious art, and then the movie doesn’t look like that! The mandate of this movie was: Our ‘Art of’ book is going to look exactly like the movie. And every artist poured their heart and soul into that idea.” And I believe they completely achieved this goal. This film was a color lover’s paradise. All of the details of every little scene just amazed me. The storyline was MUCH better than I was expecting. You know when you watch an animated movie and you think “Ohh, I see where this is going.” Because usually animated movie storylines are kept simple for kids to understand. But this movie really surprised me. I thought it was going in one direction and then it whisked me away in a different direction. I wasn’t at all disappointed. It was also a lot more emotional than I was expecting. I’m not sure I ever watched an animated movie that made me want to cry at parts and cheer at other parts with NO SHAME. I WAS ROOTING FOR YOU SO-AND-SO WHO I CAN’T NAME BECAUSE THAT WOULD BE A SPOILER. Good job, you. Just like Jack and the Cuckoo-Clock Heart, this is a movie that deals with death. I did watch this movie with my 4 year old daughter. 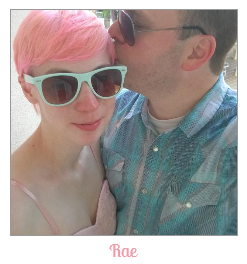 And she asked a lot of questions that I was fully prepared to answer. I don’t shy away from tough issues when it comes to my kids. Like I’ve said before, death is a part of life. 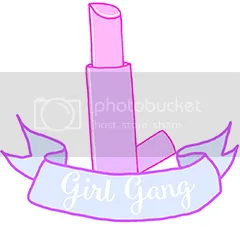 And it’s a sucky part. But I’d rather Shade have her questions answered by me than never answered or answered by someone else. She absolutely loved this movie. I will say that this movie does deal with death in a much lighter way than other movies. So that made answering her questions easier than I expected. I know this movie came out a year ago, but what better month to see it for the first time or to re-visit it? I would definitely recommend it! 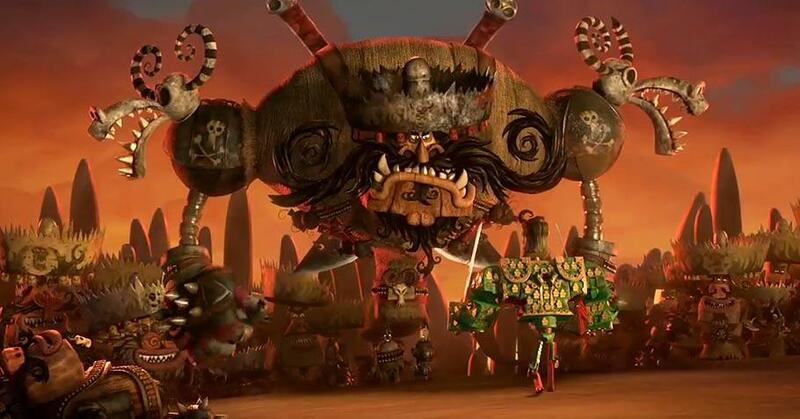 You can visit the official website at BookofLifeMovie.com. 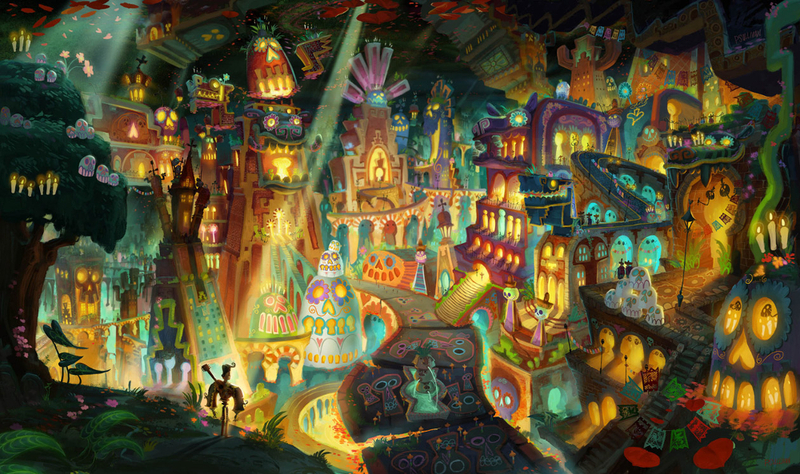 And now, just like I did with my post on Jack and the Cuckoo-Clock Heart, I’ll leave you with one of my favorite scenes from The Book of Life.